Notts County chairman Alan Hardy was impressed with Harry Kewell’s attention to detail before appointing the Australian as the Magpies new manager. Kewell’s arrival signals the start of a restructure of the football department at Meadow Lane with a “vastly experienced technical director” also set to be appointed. It has resulted in Darren Fletcher standing down from his role as vice-chairman and followed the dismissal of Kevin Nolan last Sunday, with Notts bottom of League Two. Former Leeds United and Liverpool forward Kewell has been handed the reins after impressing Hardy during the interview process and brings with him assistant Warren Feeney. “Having now worked in football for a significant period of time, I have had the opportunity to learn from other clubs what good looks like,” said Hardy. “I have therefore decided to appoint a technical director, who will set the club’s overall footballing philosophy and be on hand to support and mentor the manager as required. “Harry will, however, be solely responsible for our first-team squad, having the final say on transfers, tactics and team selection. “He has enjoyed an excellent start to his managerial career and I am hugely impressed with his knowledge and attention to detail. 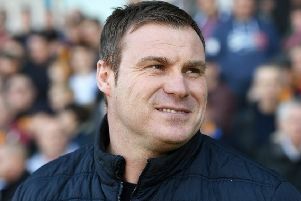 “I thoroughly enjoyed our discussions about the role and have been left with no doubt that he has a fierce ambition to succeed and a real enthusiasm to work for Notts County. Kewell joins Notts after 15 months with Crawley Town, his first managerial job, who he guided to a mid-table finish last season. The club has confirmed Mark Crossley and academy manager Jon Goodman will take charge of the first team against Forest Green Rovers on Saturday, with Steve Chettle attending a family wedding. Kewell’s first game in the dugout will come away at Grimsby Town in the Checkatrade Trophy on Tuesday (4th September). Kewell, along with the new technical director, is scheduled to meet the press on Monday.